As the last light of day casts its glow on the horizon, a group of Blackfoot warriors makes its plans around the campfire, in preparation to raid a nearby Crow village. 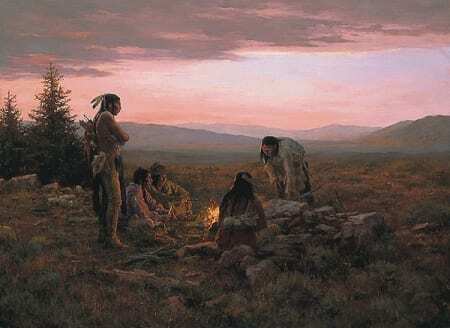 The quiet of the evening masks the sounds of the battle to come. 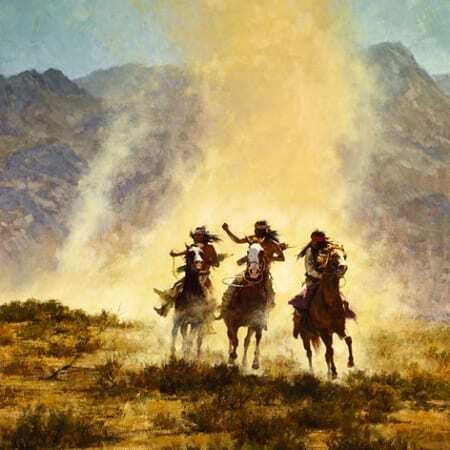 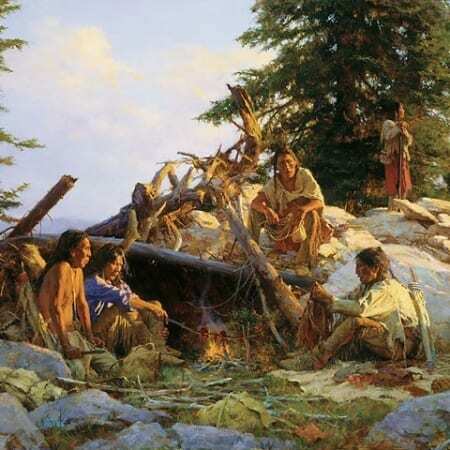 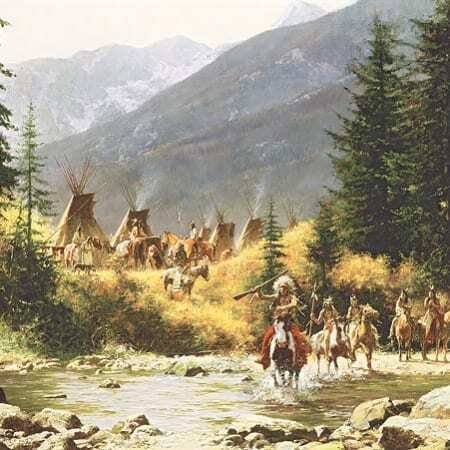 Howard Terpning is at the to of the list for Native American artwork. 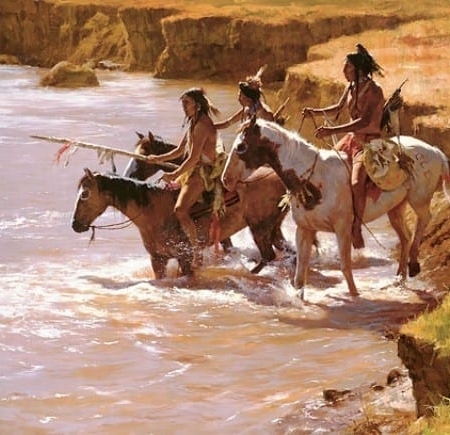 Howard Terpning’s awards for his artwork are numerous in size, and his ability to capture the Native American world is astounding.